People bemoan how anyone can be a photographer with a DSLR, and how anyone is an artist with Photoshop and the full Adobe suite. Well, that’s exactly what SHINE Festival wants you to believe. Three whole days of art, music, sport and everything pop-culture, SHINE is a national platform for youths to showcase their talents and passion. Absolutely everyone is entitled to exercise his or her artistic muscles at SHINE. And if it is the fine arts you are seeking, we warn you, you’re in for quite the art attack. 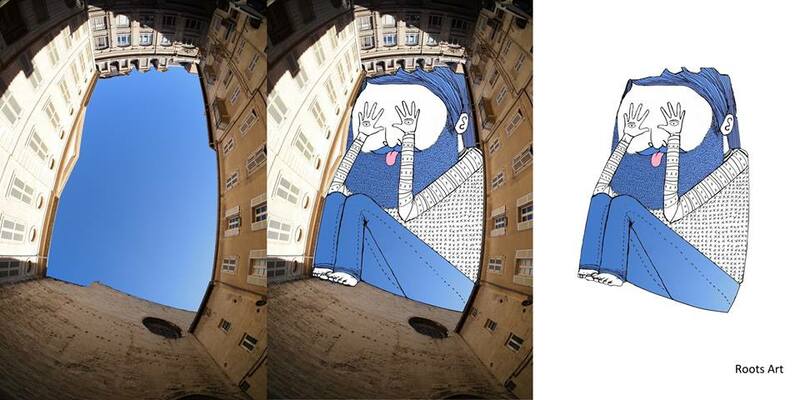 From painting videos on walls to illustrating on photographs, it’s all gone topsy-turvy. If you are heading down to SHINE, one of the biggest youth festivals at Orchard Road this year, here are some of the art you can sample at SHINE from 10 – 12 July within the Orchard Road vicinity. 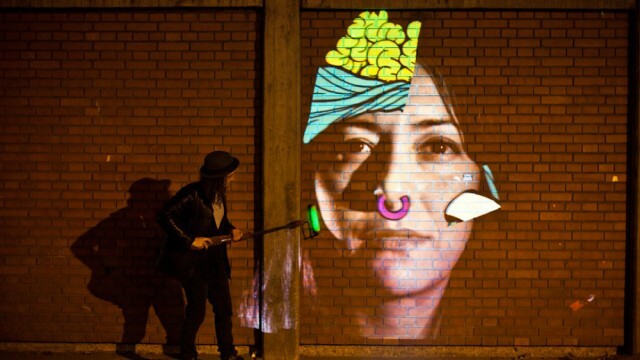 A cool mix of technology and artistry, video painting is some next level art. Using custom software that tracks the positions of electronic paint rollers, and projects videos wherever they choose to paint, you’ll be able to create the illusion that you are painting videos onto walls — minus the mess. Besides video painting on walls at SHINE, you’ll also get to try out video booth painting, where you can add effects to a photo of yourself — think giant scale Neoprints that are for all to see. The perfect discreet distraction for anyone who has to be at a desk for long hours, .gifs are basically fun-sized silent videos (usually with content that is of the humorous and cute animal kind) that play on loop. While most .gifs are usually viewed via a computer or gadget screen, SHINE has invited the Organisation of Illustrators Council (OIC) to design and draw on-the-spot .gifs to the theme of ‘Singapore Growing’. OIC has garnered mentees to teach the basics of .gif design, and will have a booth showcasing the works of the mentees. The animated programme demonstrates the expressions of artists who wish to take the first steps to visual arts mastery, and will showcase their individual artistic expressions. Drawings come to life using .gif technology — if you can draw it, they’ll animate it! If you’ve spent a good chunk of your childhood wondering what the city would look like if aliens invaded, or if dinosaurs had a walkabout, or dragons — this might just be the place where they take our fantasies seriously. Fact and fiction get to mingle in Photography Remix, a curated art piece made from public contributions. 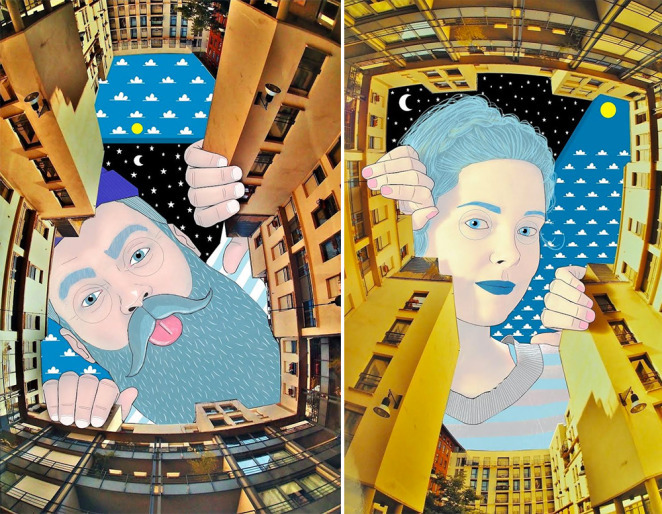 Jazz up photos you submit with a layer of illustration, and watch them transform into an eclectic wonderland. Feel free to bring your own photos and printouts of the local landscape and contribute to the social artpiece in Photography Remix. Draw flying cats in the Eastern suburbian sky, Godzilla crushing buildings in the CBD — anything goes with the remix, so we ask you to get a little wacky with your ideas! Here’s a different sort of painting on walls, and this actually requires getting your hands dirty. 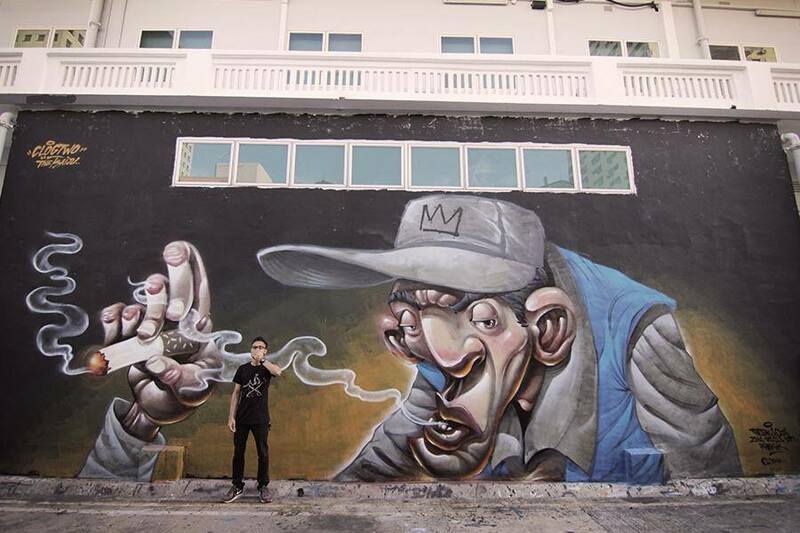 The Graffiti Battle will see the canvas — or the wall — take centre stage as you watch art transform right in front of you. This battle will happen on Saturday (11 July), and is gonna shut down the streets — literally: Orchard Road will be closed temporarily to accommodate the SHINE festivities. Local rap hero ShiGGa Shay will also be performing during the battle. Some trivia: graffiti is one of the oldest forms of art, having dated back to the Roman Empire. Honourable. 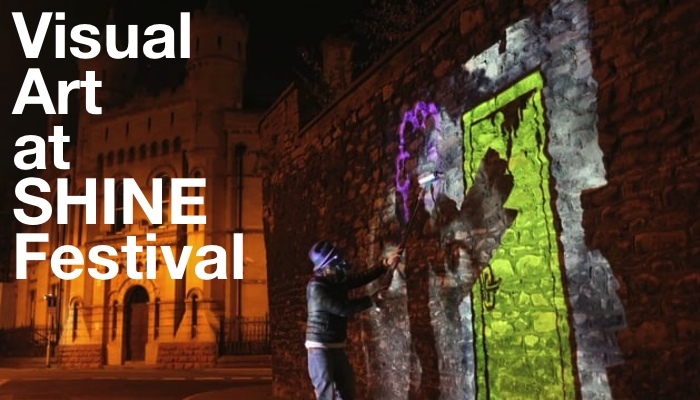 Collaborative art comes to life at SHINE Festival — and it looks like we’re going to get in on some of the artistic action as well. Care to join us?